America’s very own Mr Comedy. Ben Stiller Full Name: Benjamin Edward Stiller Well-known American actor, producer, director and writer, who’s famous for his roles in comedies. Born: 30 November, 1965 Famous films include: Along Came Polly, Night at the Museum, There’s Something about Mary, Meet the Parents and Meet the Fockers. Ben Stiller is one of America’s top comedians. Ben Stiller was born and raised in New York City. His parents (Jerry Stiller and Anne Meara) are also famous comedians, and his sister Amy (who is two years older) is an actress, too. 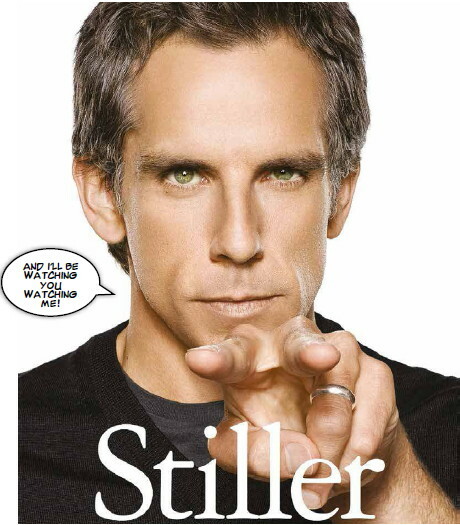 Stiller grew up during a period when his parents' careers were in fullswing: they were regulars on the Ed Sullivan Show, and they were being given roles and receiving award nominations left, right and centre.